The industrial hygiene professionals at Clark Seif Clark identify exposure risks to hazardous substances to protect workers and keep companies in compliance. The Occupational Health and Safety Administration (OSHA) reports that the use of 1-BP has increased over the past 20 years. In February, the U. S. Environmental Protection Agency (EPA) released for public comment and peer review a draft risk assessment for 1-bromopropane (1-BP), also known as n-propyl bromide. The draft assessment was conducted as part of EPA’s Toxic Substances Control Act (TSCA) Chemical Work Plan assessment effort. According to the document, 1-BP showed acute risks to women of childbearing age from adverse developmental effects. Other non-cancer and cancer health risks were identified for workers with repeated and chronic exposures, including neurotoxicity; kidney, liver and reproductive toxicity; and lung cancer. This past August, California’s Office of Environmental Health Hazard Assessment (OEHHA) added 1-bromopropane to the list of chemicals known to the state to cause cancer for purposes of Proposition 65. 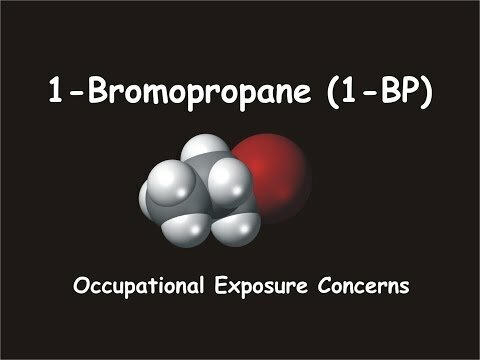 The listing of 1-bromopropane (1-BP) was based on formal identification by the National Toxicology Program (NTP) that the chemical causes cancer. The Occupational Health and Safety Administration (OSHA) reports that the use of 1-BP has increased over the past 20 years. The solvent is often found in products used in vapor and immersion degreasing operations for cleaning metals, plastics and electronic and optical components; adhesive spray applications; dry cleaning; and solvent sprays used in operations like asphalt production, aircraft maintenance and synthetic fiber manufacturing.